From anger and sadness to worry about the future, divorce is bound to invoke strong emotions. However divorcing spouses feel about each other, most parents agree that they want to minimize the impact divorce will have on their children. Even though your marriage is ending, you and your spouse may have agreed that you want to protect your children from the stress and conflict of divorce and preserve as much of your financial assets as possible. You may wish to avoid the emotional and financial costs of a litigated divorce.If these things are important to you, a Collaborative Divorce may be the right option for your family. Collaborative Divorce – also known as Collaborative Law Process – means that you and your spouse commit to resolving your dispute outside of court. This does not mean your divorce will be easy or friendly. But if you’re able to make key decisions about your divorce together with the advice and help of your collaboratively-trained lawyers, then the collaborative divorce process will give you more control over your final settlement. You exchange all information needed to make informed decisions voluntarily and informally. All negotiations are interest-based with the aim of finding solutions that are acceptable to you and your spouse and that work best for the entire family. If you have children, you and your lawyers commit to making them the top priority. You, your spouse and your respective lawyers sign an agreement not to go to court to resolve your differences. Is A Collaborative Divorce Attorney Right for You? If you are considering a legal action such as divorce, a contested property division or a child custody modification, GoransonBain Ausley can help you formulate a strategy that will move you toward a successful outcome. With a seasoned team that includes former judges and some of the state’s most respected family law attorneys, we can give you a clear perspective that will help you decide whether it is best to pursue your objectives through litigation, collaborative divorce, or other alternative resolution methods. 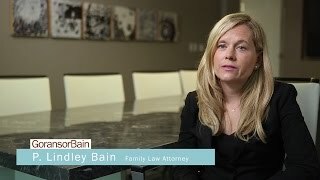 The GoransonBain Ausley lawyers are leaders in Texas in the Collaborative Divorce Process. All of our lawyers have been collaboratively trained and have supported many Austin families with collaborative divorces. We empower families to find productive solutions that work specifically for their families and help them face the future with confidence. Contact a collaborative divorce attorney today to learn more about your legal options. GoransonBain Ausley has three office locations in Dallas, Plano and Austin.